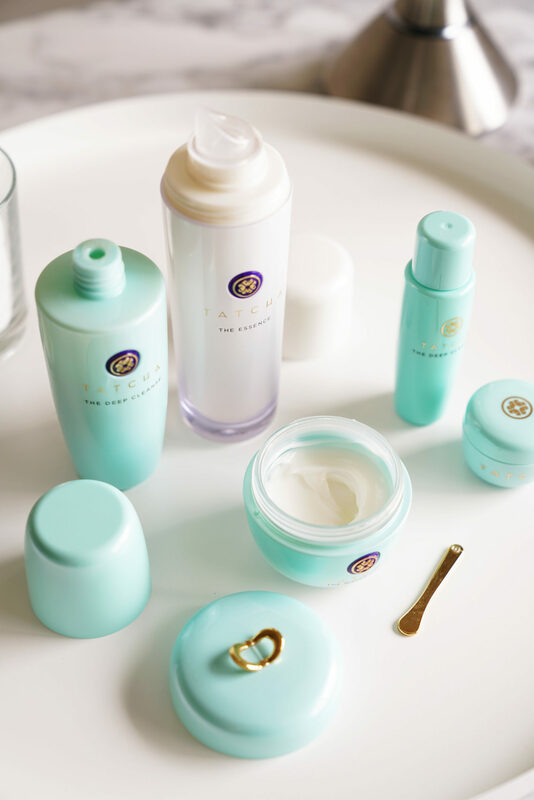 Tatcha launched a new cleanser called The Deep Cleanse. It’s a gentle daily cleanser that has natural fruit exfoliants to cleanse the skin. It’s oil-free, gentle and lathers nicely with warm water. Leaves the skin soft and cleansed without any tight feel. The only thing I wish it came with was a pump although I’m not sure the thick formula is something that can be pumped easily. I’ve also continued using the Tatcha Water Cream which is one of my favorite daily moisturizers. I use it after I apply the Tatcha Essence which is my favorite essence out of all the ones I’ve tried. It’s lightweight and doesn’t have any sticky residue but makes a big difference in helping other products sit on my skin better. If you want something for travel or don’t want to buy the large size first, there’s a super cute mini Pore-Perfecting Moisturizer and Cleanser Duo available at Sephora. Aesop continues to be one of our favorites, a lot of the products work for both men and women. They have some really great sets for gifts but I always end up buying them for myself. I bought the Enigmatic Mind Sway Kit twice (one for my brother and one for me). I love everything in it, but my top two favorites for January included the Resurrection Aromatique Hand Balm and Resurrection Aromatique Hand Wash for the scent and formula. I just discovered they have a Resurrection Hand Sanitizer in a rinse-free version that I need to check out soon. The Redemption Body Scrub also made my favorites list. This is Andrew’s favorite and for me tied with the Geranium Leaf Body Scrub. Both are really good for cleaning the body and getting rid of dead skin cells. The scents are really relaxing too. My obsession with the Parsley Seed Cleansing Mask is still going strong. I always try keep a backup on hand because I don’t want to ever be without it. The mask helps draw out impurities like no other but doesn’t strip or sting the skin. Sometimes I’ll just apply it on the T-zone. It’s gentle enough I can use it multiple times a week if I’m having troubled skin. L’Occitane x Rifle Paper Company teamed up to launch some cute products this year. A lot of the sets have sold out online but you can definitely check your local store for some items. The solid Shea Butter was the first thing I tried from their line many years ago and it’s perfect for the cuticles. There is a limited-edition Petite Shea Butter Trio with three scents: Classic Shea, Apricot and Rose. The classic one remains my favorite. Another recent discovery is the Shea Butter Nail and Cuticle Nourishing Oil. This winter my cuticles have been really dry. They are normally fine year round but we had some extra dry weather here in Florida and this was the first time they cracked. This rescued them. There’s a little brush applicator which I love. Supergoop! Unseen Sunscreen is one of the latest launches from Supergoop! I rely heavily on their Everyday Sunscreen and was thrilled to find they launched something for the face. 100% excited that the formula is clear because the biggest challenge I have with face sunscreens is the white tint. Even though most of them say it will absorb into the skin and disappear I find so many leave that hideous white cast. This one is lightweight, long lasting, non-irritating and works well with makeup. I apply my skincare first, then the sunscreen and then foundation + powder on top. There’s no oily feel, no greasy residue, no white cast and no scent. Drunk Elephant Protini Polypeptide Cream is my newest obsession for face moisturizers. I picked it up at Sephora and it was love at first use. It’s a hydrating cream but not heavy and absorbs beautifully into the face. It just feels amazing on the skin. I love that it comes with a pump/press packaging that makes for easy application and keeps the cream itself free from any hand germs. It’s worked well with all of my foundations so far. I highly recommend you give it a look if you have normal/combination skin. Fresh launched a new face mask called the Lotus Youth Preserve Rescue Mask. I’ve tried the Lotus Youth Preserve cream before and thought it was just ok, but the mask is quite amazing. It has a very nice soothing, calming and relaxing feel to it. It’s a five minute mask that leaves the skin soft and radiant. It contains kombu seaweed which to me almost has that refreshing cucumber feel. I absolutely love it. Two staples that continue to be staples for me include the Kopari Coconut Melt and Kate Somerville Exfolikate Gentle. Kopari Coconut Melt is my go-to for dry winter skin. I apply it at night before I go to bed and it helps with tightness and any itchy spots. The Kate Somerville Exfolikate Gentle is still one of my favorites that I use multiple times per week. I find regular exfoliation keeps my skin looking smooth and helps clear away dead skin. Andrew’s favorite is the Jack Black Face Buff which he insists is the best one on the market. It’s definitely a good one that I borrow occasionally, but I still like my Kate Somerville one because it’s more gentle. Last but not least, face mist story and roundup still in the works but the Chanel Sublimage La Brume has been the best for me the past month with dry winter weather. It has the perfect mix of moisture and lightness to hydrate and refresh the skin without being too much. That wraps up my January Favorites! What were your favorite items the first month of the year? I love reading about what you love in beauty – can be anything for makeup, tools or skincare! Let me know in the comments. 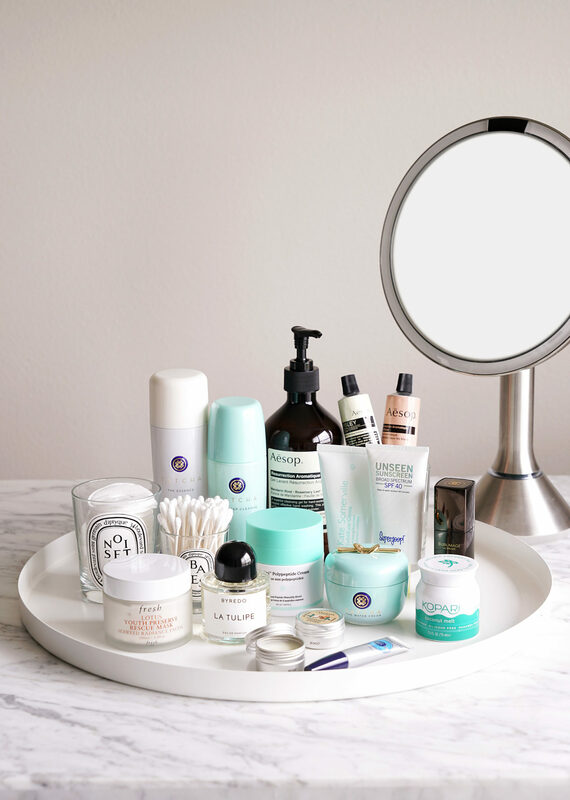 Press samples include Tatcha Water Cream, Essence and Deep Cleanse, Supergoop! 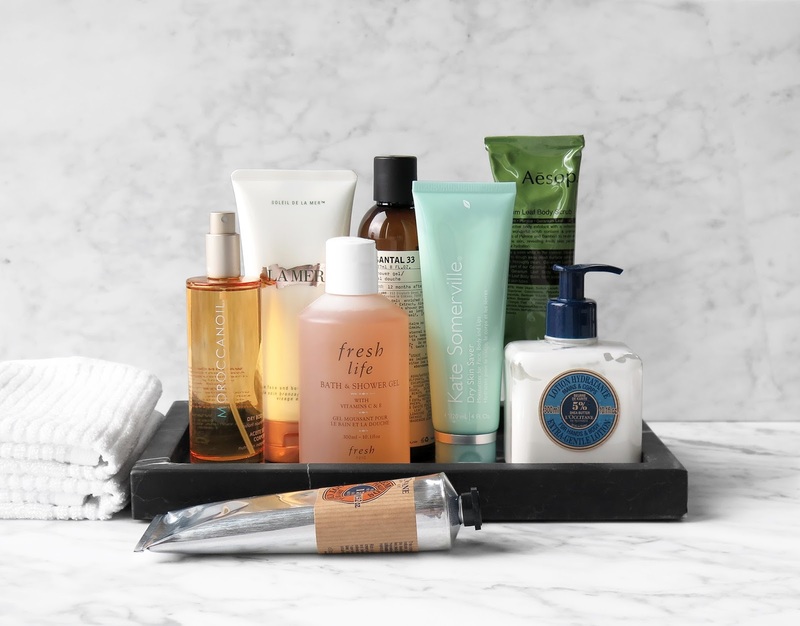 Unseen and L’Occitane products.